One of the great perks of winter in my opinion is the food we get to eat. For example, digging your spoon into a steaming hot self-saucing pudding on a cool night just has a certain attraction to it don’t you think? And entirely guilt-free of course, perhaps due to this denial twilight zone I enter into each year around this time. Whereas perish the thought of having anything containing butter and cream during summer! 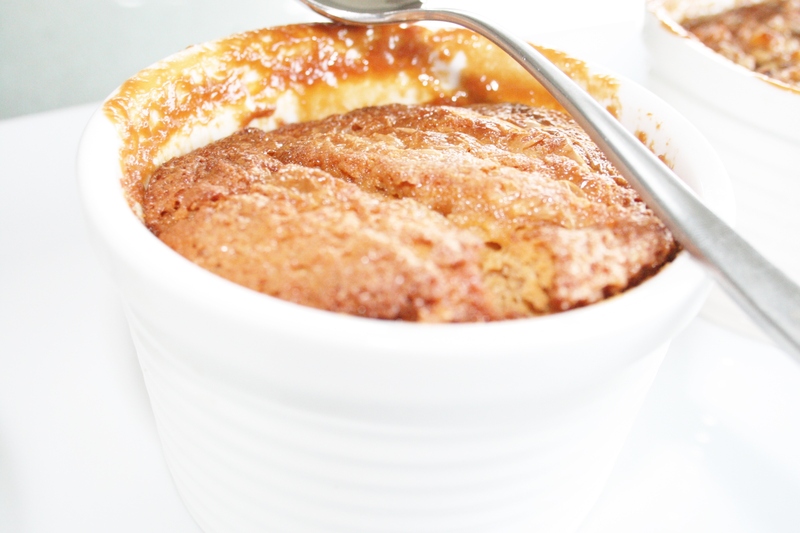 So on to the caramel self-saucing pudding. 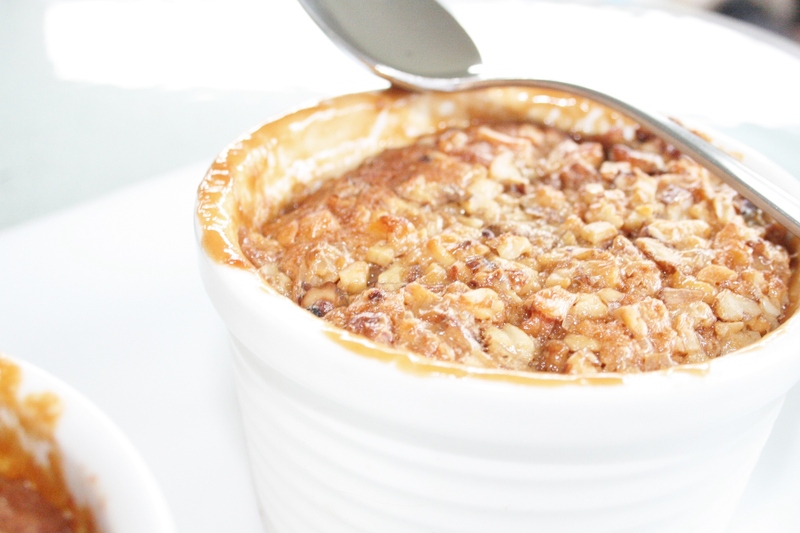 I saw this recipe in the latest Better Homes & Gardens (along with a few other mouth-watering caramel recipes beckoning to be made – so get yourself a copy if you can!) but wanted to try it a few different ways. So I adapted it slightly and instead of a big pudding (which it is intended to be) I made it in ramekins to not only satisfy my sheer obsession with individual desserts, but also to try a couple of others things with it. I made a normal one, one with pear and one with chopped up walnuts. For reporting purposes I had to of course sample all three and must say that the pear was my favourite. 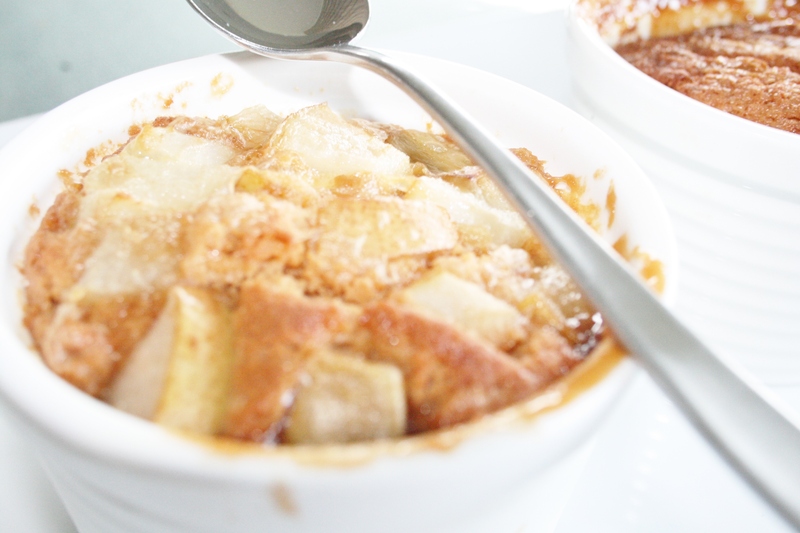 There is just something about the combination of a caramel baked pudding with a crunchy top and the soft pear scattered between. 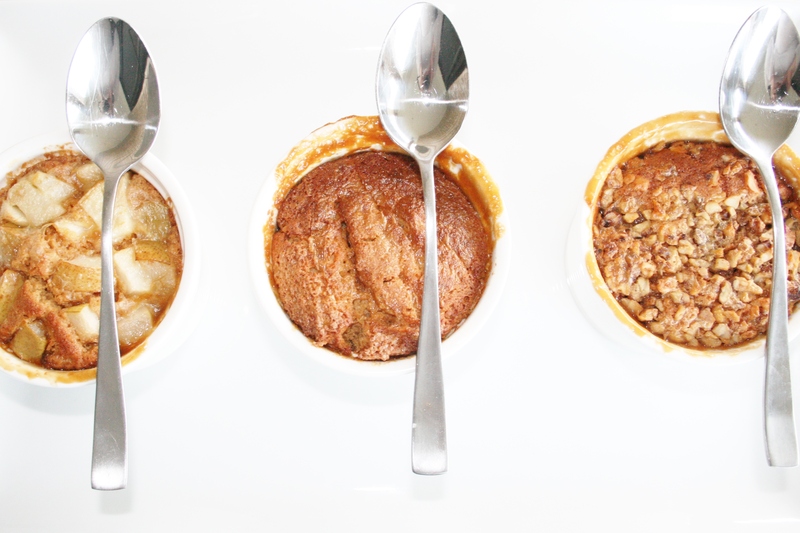 I divided the recipe between six ramekins, which might be a bit too indulgent for most so when I make this again I would divide it between eight ramekins instead for a more manageable portion. Or of course in one big dish where you can dish up as much or as little as you like. Combine the flour and brown sugar in a bowl. Place melted butter, milk, egg and vanilla extract in a jug and whisk together. Add this to the flour and brown sugar and stir together until smooth. Spoon the mixture evenly between the ramekins (or into one large dish). Combine the extra brown sugar and cornflour and sprinkle evenly between the ramekins. Pour boiling water in a jug, add the cream and slowly pour over each pudding. Bake for 30 minutes (or 45 minutes if baking in one large dish), it is ready when it’s saucy on the bottom and the pudding is baked through. Variations: add pear or sprinkle chopped walnuts over the puddings before pouring the boiling water and cream over.